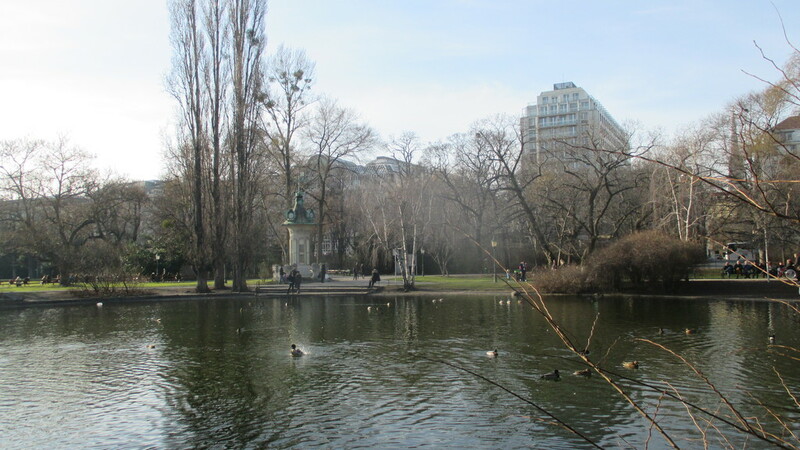 Another Viennese park that attracts many visitors on a daily basis throughout all four seasons. I would like to share with you some details about the park and personal experience when visiting it during the winter semester. I have not spent that much time there as I wanted unfortunately and do not know all the secrets but I think you will not mind it so let us start with the tour. 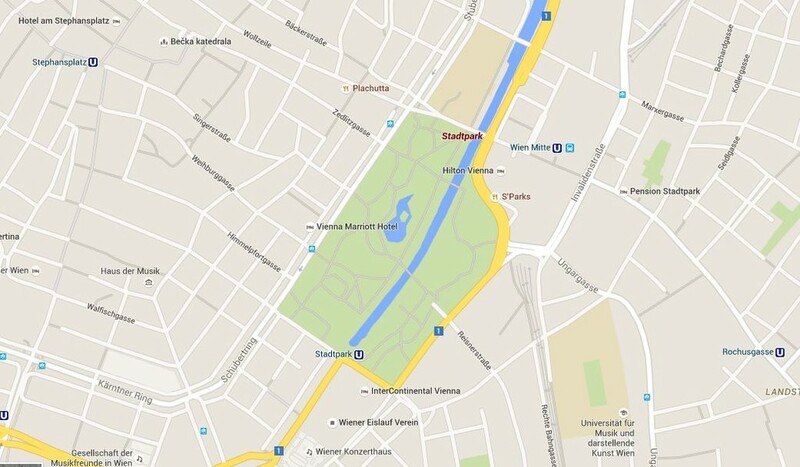 Stadtpark (the City park) is located at the eastern border between the 1st and the 3rd (Landstraße) District. 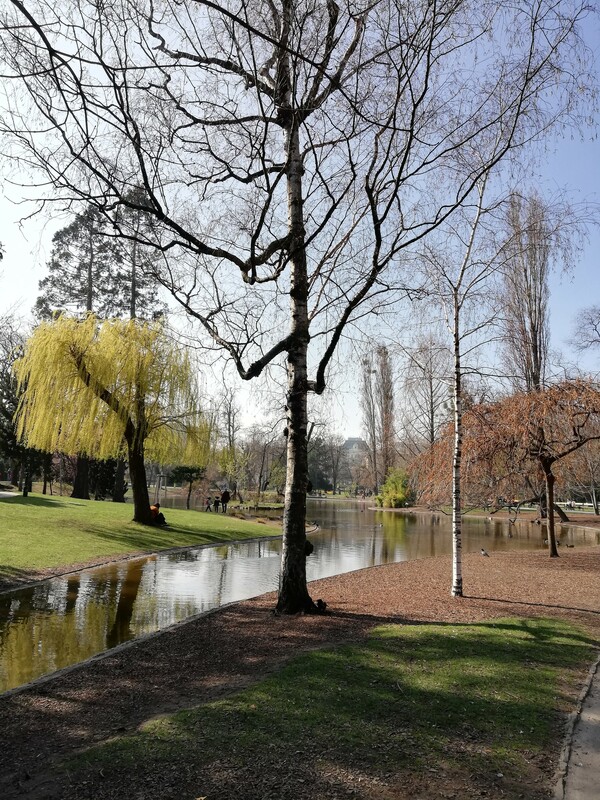 The park is actually divided into two areas thanks to the canal of river Wien which starts (being visible) at the beginning of the park at the southern point. 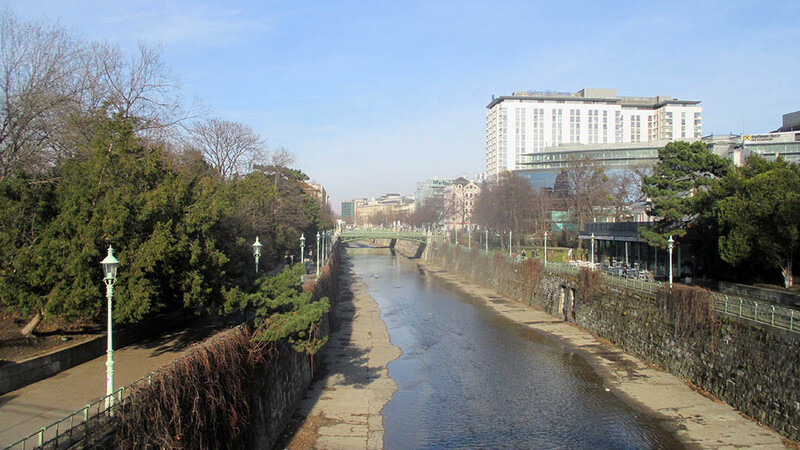 The small river (or even a creek) starts gaining on its size as we are approaching the Danube canal. U4 Stadtpark - obviously this one should be mentioned first. You can take the line U3 in the direction of Heiligenstadt. There might have still been or is finally over the reconstruction of the other platform in the direction of Hütteldorf. But since you are now in Vienna I think you know the best. This station was also designed by the famous architect Otto Wagner at the end of 19th century. You will surely notice it looks a bit different than the others. U4 Landstraße - this is the same line and it will take you approximately 3-5 minutes to get into the park after leaving the train. U3 Stubentor - it might be a bit closer than the U4 Landstraße if you want to get into the bigger (and the main) western part of the park. It takes about 2-3 minutes once you live the Stubentor stairs and you will also notice the MAK museum. I think there might be as well an elevator right across the park at the tram station but I have never used it. Check it out yourself next time you are going to spend some time around. There are also two CityBike platforms where you can grab or leave the bike which I find perfect (and why I love Vienna! ). There two are close to the tram stations, each at one end of the park along the Parkring avenue. 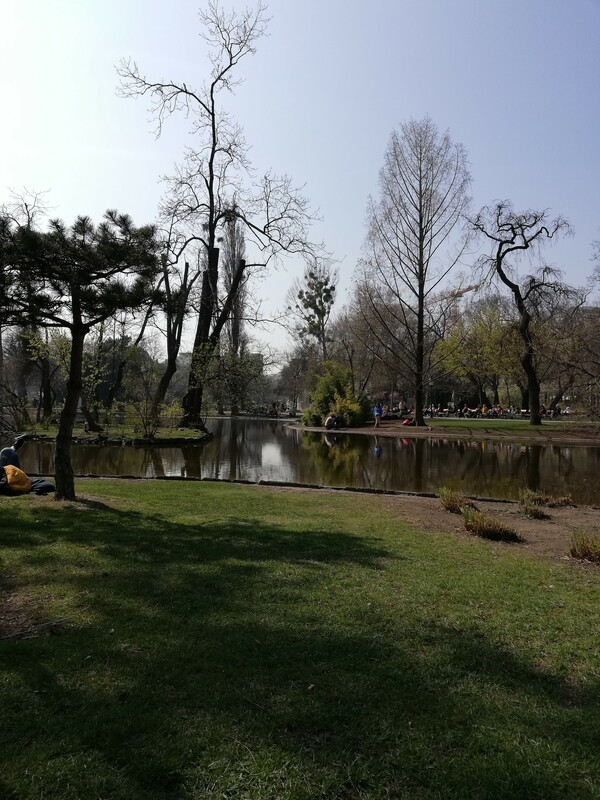 The first time I discovered Stadtpark was pretty much accidentally. At the end of October when it was relatively warm I decided to use the CityBike for the first time and went spontaneously around the area. 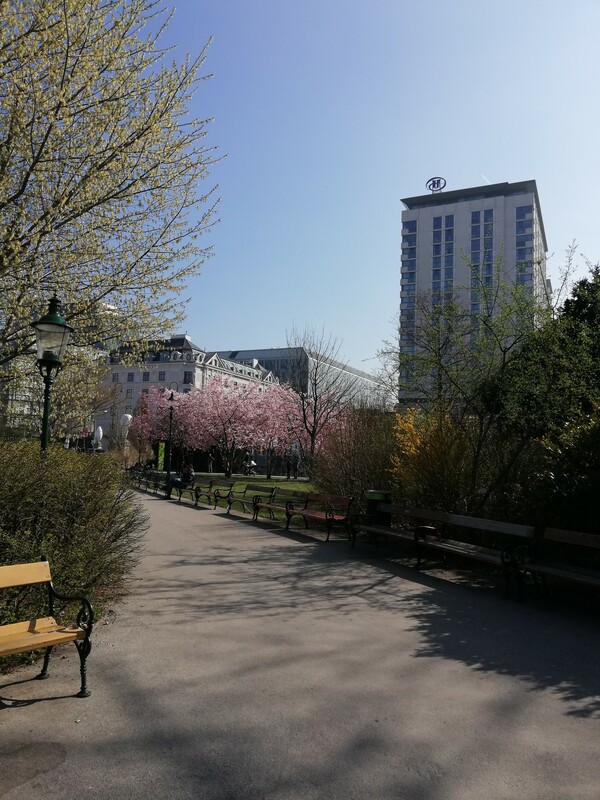 After being confused at Karlsplatz where to go I found one road that was apparently Lothringerstraße which led straight to the Park and then to the right into Am Heumarkt. After passing by the Ice Skating centre and the Viennese Concert Hall (one could hear the music and singing outside! ) I reached during the night the Stadtpark. First thing that I saw when stopping by to check what it was all about was the small river Wien that its own canal now going through the park. It was dark and except for the reflection of the water's surface I could not see much. There was the nice light of the lanterns on both sides revealing some paths for walking. I was actually standing next to the U4 Stadtpark but did not notice it back then. There at the southern entrance there were stairs leading you down on two sides. Luckily I noticed them before deciding to go forward with my bike. I wanted to go through the park later again and see what it hides. I finished my journey by following the bike path around the park and returned later on the other side along the Parkring avenue. It is surrounded by the old buildings which I liked. Once on the other side it is actually pretty spacious since there are two very broad (3-5 meters) pathways. One is meant for the pedestrians and the other one for the bikes. So each category has its own road. And people respect it there as a rule in general. 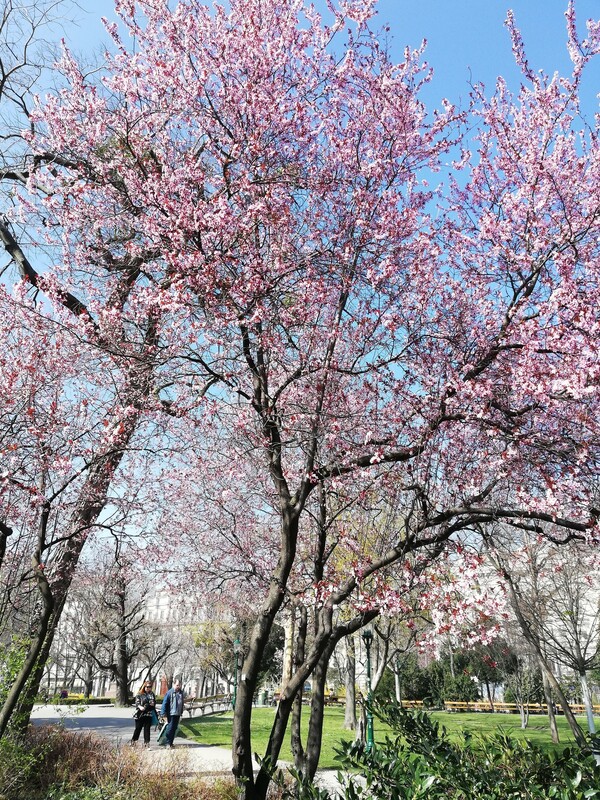 The western part of the park is much bigger and more attractive of course. Even in Winter it did not feel empty. 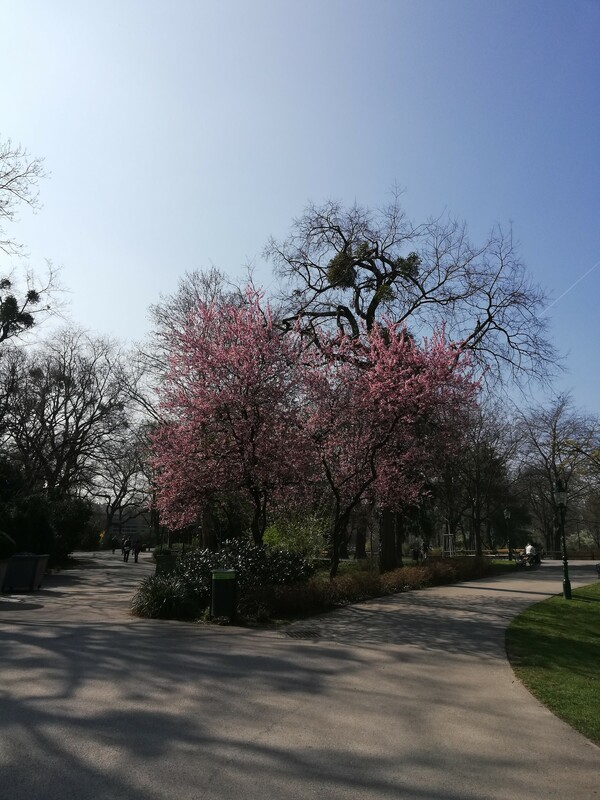 When comparing to Volksgarten the Stadpark is pretty much more dense when speaking of flora (and fauna). There are lots of birds and squirrels. What I remember about Stadpark in winter is that there had not been that many leaves around on the ground and the park still preserved the look like from the autumn. 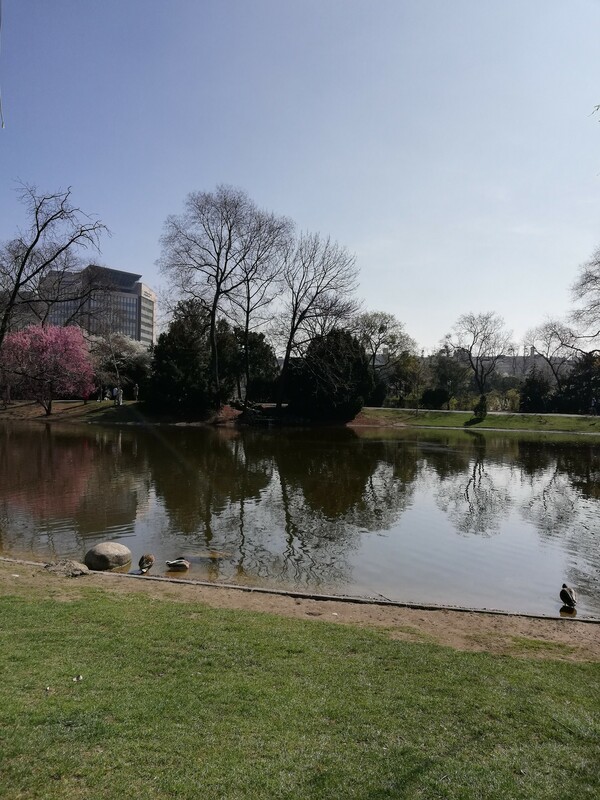 In the middle of the main area of the park (the western part that also belongs to the 1st District) there is a lake inhabited by the ducks and other birds. One can find many roads leading to it and around. Close to the lake is the monument of Schubert. And speaking of monuments one can find those dedicated to musicians Johann Strauß and Robert Stolz. 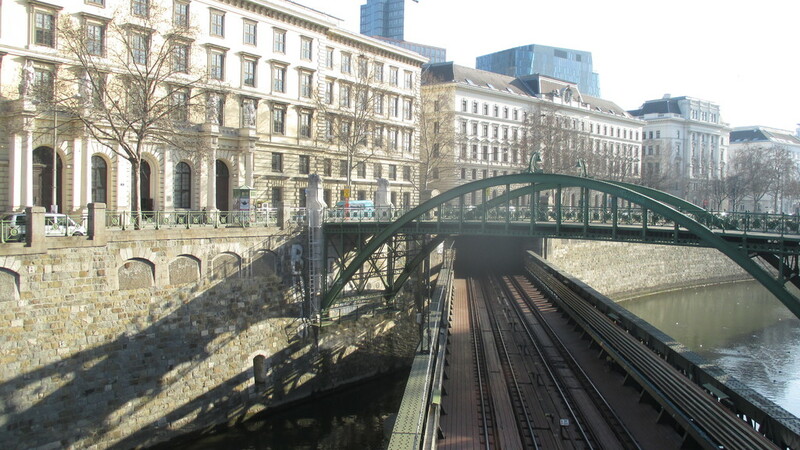 There are two bridges for the pedestrians and bike above the river Wien. And along the river you can find the pedestrian path which I recommend. This path is also popular by the youth who gather there and sit on the wall. There are also many people going out with their pets to let them enjoy the greenery. Speaking of the eastern part of the park I had seen one restaurant and there is also a playground for the children when approaching the southern exit. 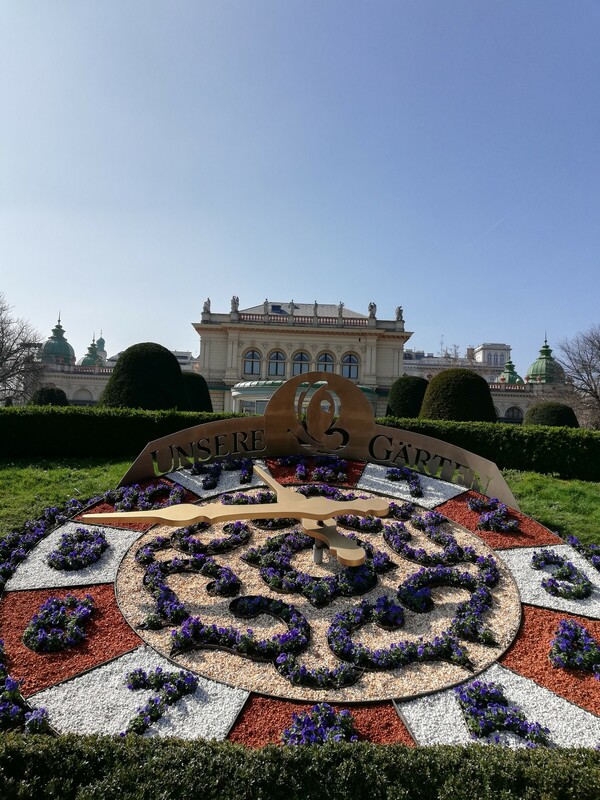 I had not been inside the park much and will have to correct that by the next visit to Vienna. But I can tell that it is also worth visiting and for a few minutes (or more) escape the concrete of the streets. During the evening and night is popular to go for a walk, I believe it is great during the warmer seasons. It is a good place to relax. What I dislike? The only thing I would say bothers me a bit is that during the day the area around the canal of river Wien looks a bit "in ruins"... maybe it's nothing but there is a big difference between the atmosphere during the day and in the evening. That's it. Thanks for reading and share your experience! 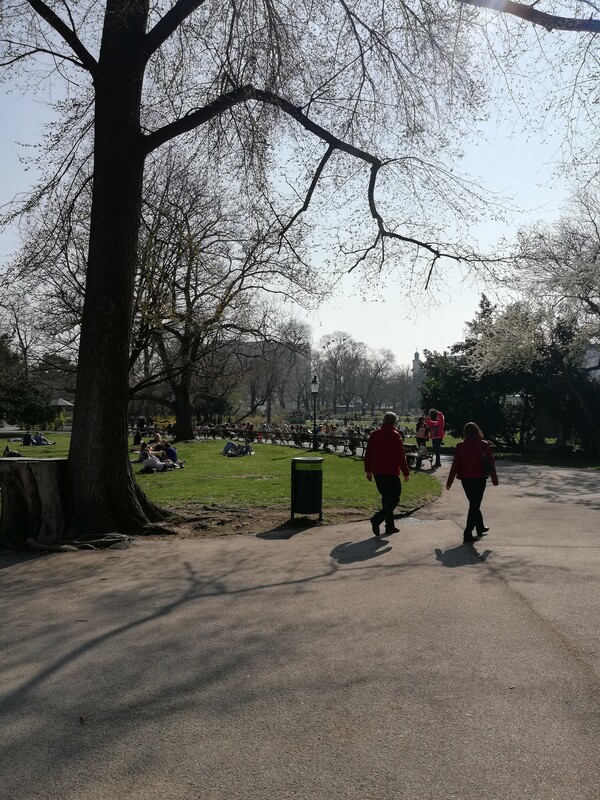 Does the word Stadtpark ring a bell to you? If not then it's a place you must visit for sure! 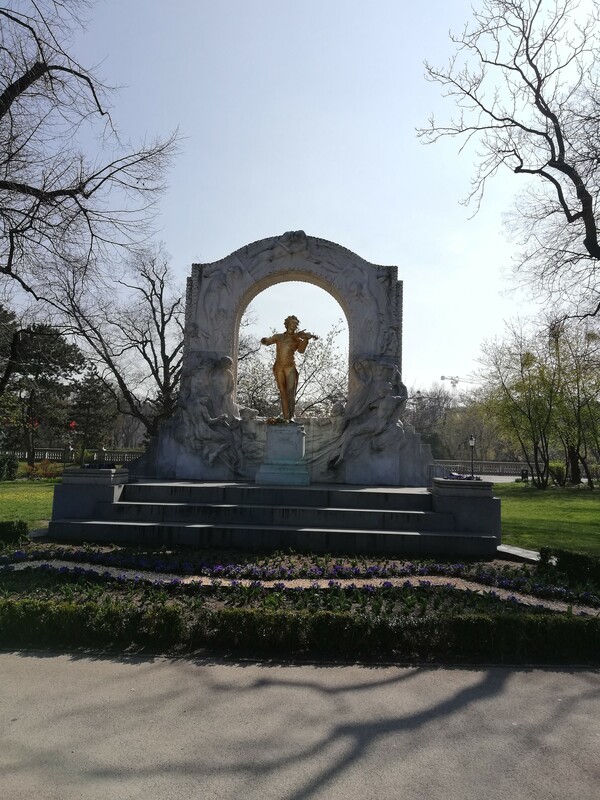 I travelled to Vienna last weekend and because of the sun and the nice weather it was impossible to resist going around to its parks. Well yes, Vienna has plenty of them. 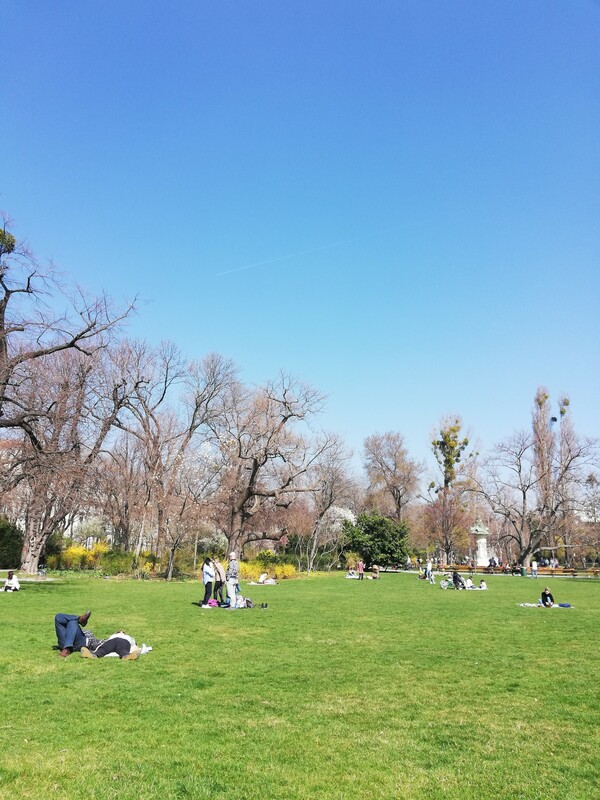 But Stadtpark makes the difference. A place where you can relax, sleep, eat, walk, drink, play, discover alone or with company, it's for sure the ideal destination for a sunny day(ans not only)! 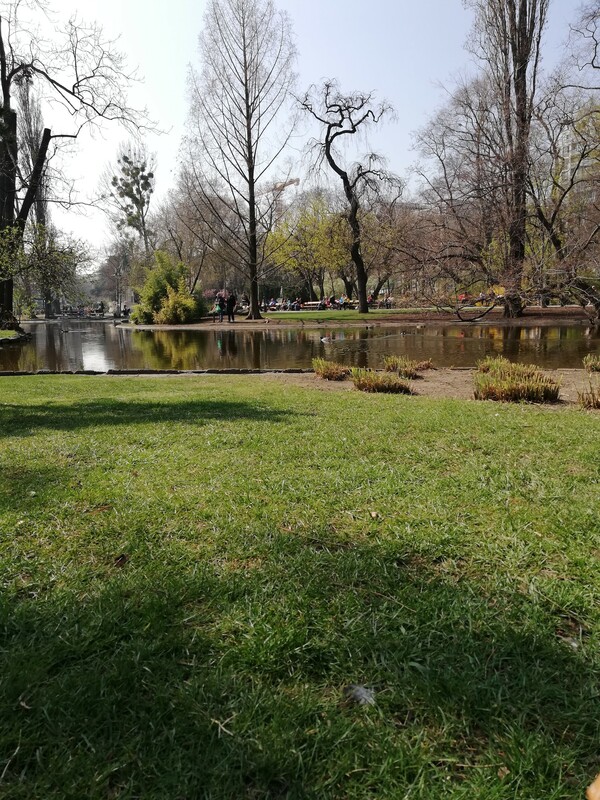 Inside the park you can find beautiful sculptures (Mozart's statue is there as well), cosy coffee places, large benches, a lake with ducks and a clock ornate with flowers. 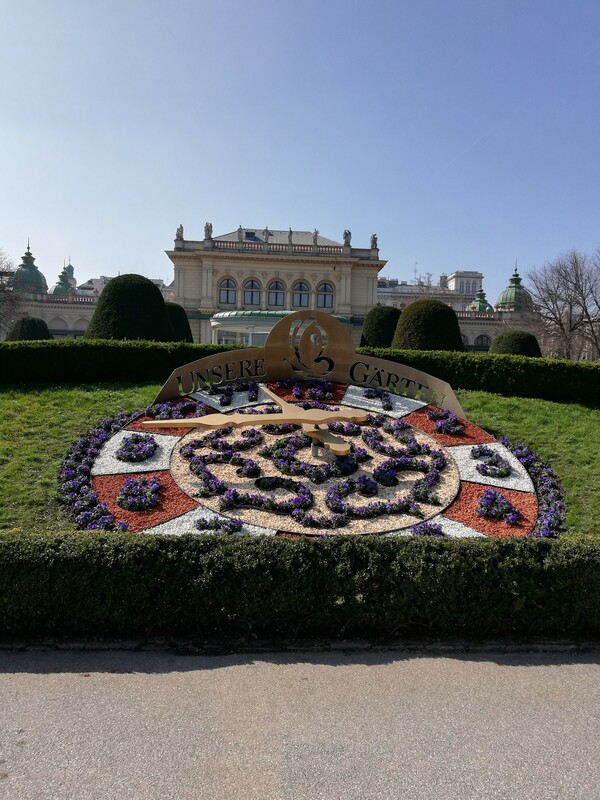 Ι stayed two days in Vienna and both of them I paid a visit to Stadtpark. Feeling the sun in your face, seeing kids playing in the grass, families having a pic nik and couples strolling around... It's like the time stops while you are there and all your problems go away for some time. Definitely recommend it for anxious or stressed people that find it hard to relax. 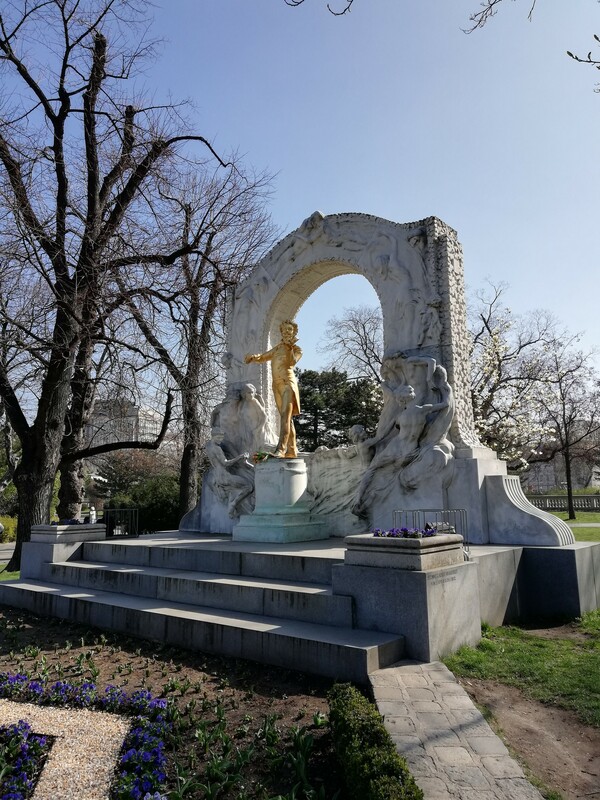 So next time you are visiting Vienna(or you are already living there) and the sun is up don't forget to grab your coffee or drink and wander to the gardens of Stadtpark. Spend some time with yourself there and I am sure you will enjoy it! How you can reach it? Metro station: Stadtpark with line U4 or Stubentor with line 3. 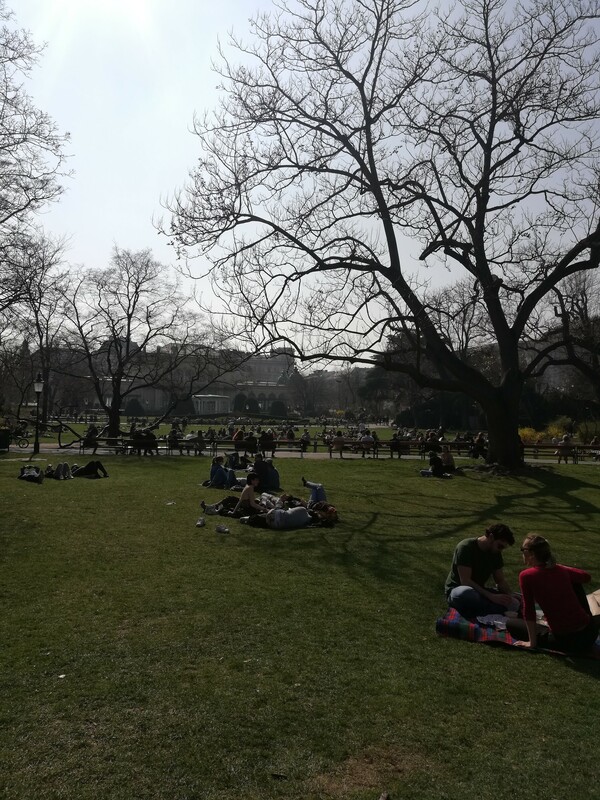 This content has been entered in the Erasmus Travellers Competition and have earned 205 points. 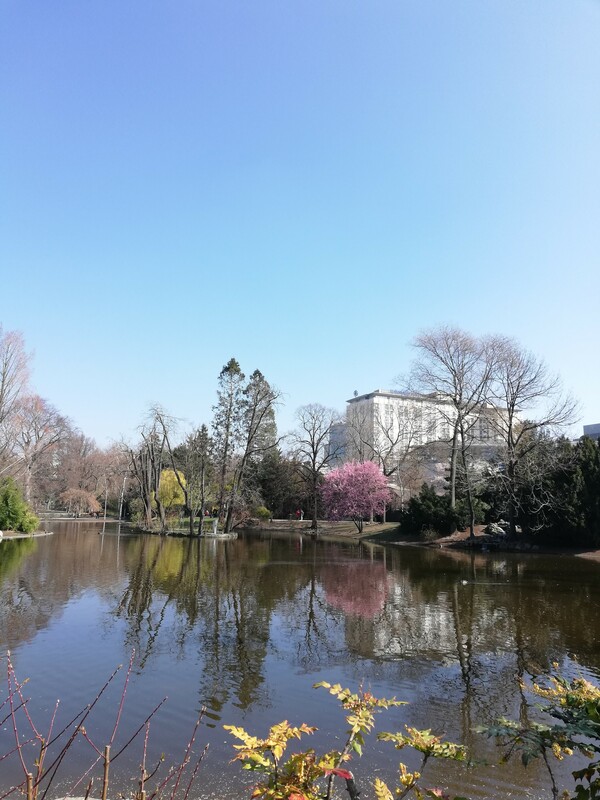 Do you know Stadtpark? Share your opinion about this place.